I am delighted to welcome back to the blog one of my favourite authors. Hannah Fielding is an incurable romantic. The seeds for her writing career were sown in early childhood, spent in Egypt, when she came to an agreement with her governess Zula: for each fairy story Zula told, Hannah would invent and relate one of her own. 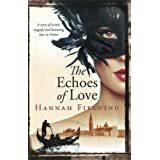 Years later – following a degree in French literature, several years of travelling in Europe, falling in love with an Englishman, the arrival of two beautiful children and a career in property development – Hannah decided after so many years of yearning to write that the time was now. Today, she lives the dream: writing full time at herhomes in Kent, England, and the South of France, where she dreams up romances overlooking breath-taking views of the Mediterranean. 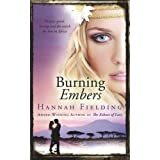 To date, Hannah has published four novels: Burning Embers, ‘romance like Hollywood used to make’, set in Kenya; the award-winning Echoes of Love, ‘an epic love story that is beautifully told’ set in Italy; and Indiscretion and Masquerade (from the Andalusian Nights Trilogy), her fieriest novels yet. She is currently working on her forthcoming book, Legacy, the final title in the trilogy, which is due to be published in spring 2016. How do you plan your writing? Having researched my facts thoroughly, I plan my novel down to the smallest detail. Planning ahead, I have found, makes the writing so much easier and therefore so much more enjoyable. I use my plan as a map. I never set out on a long journey by car without a map, and the same applies to my writing. By the time I write the first paragraph, I know the story, the characters, the setting, the mood – everything. Do you have a set routine? I have a very rigid routine which has served well. Once I am ready to write, I follow a daily routine that ensures I spend plenty of time writing and editing the previous day’s writing, fuelled with fruit tea. In winter I write indoors in my office, at a big wooden desk overlooking the back lawn where sometimes I see wild rabbits hopping about. In summer I write outdoors when I can – in the gazebo in Kent, or on the terrace in France – because I love the smells and sounds and sights of nature. If I want a change of scene, I take my notebook to a garden overlooking the sea, a meadow carpeted with wildflowers or a cafe bustling with people where I can find the description for one of my characters. It usually takes me nine months to write a book from the moment I begin my research to the time I write the word END at the bottom of the last page… It’s a bit like having a baby! The joy of escaping into romantic worlds! I have been a romantic since childhood, when I loved nothing better than listening to enchanting fairy stories on the knee of my governess. Now, I quite literally live the dream – what a wonderful way to spend my time, lost in passionate, evocative love stories. What scares you the most about writing? 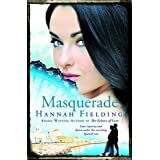 I used to be frightened of how vulnerable publishing my books would make me feel; but Masquerade is my fourth book, and I have moved past that fear now and got used to ‘being read’. Now, I suppose the biggest fear is running out of time to get all of the stories in my mind onto paper. I feel I have so many books still to write. What advice would you give to anyone wanting to write but who is maybe too frightened to try? Eleanor Roosevelt advised: ‘Do one thing every day that scares you.’ If you long to write, then make that one thing writing. You really have nothing to lose by writing if your motives are sound: if you write because you want to write for yourself, not to impress others or chase dreams of fame and fortune. If fear is an issue, don’t share your writing at first. It took me a long time to pursue publication for my own books, and the time I spent alone with my writing was beneficial as I honed my craft and built a quiet confidence in what, and how, I write. Can you tell us if you have another novel planned? Absolutely – many more! My next novel will publish next spring. It’s called Legacy, and is the third book in the Andalucian Nights Trilogy. The plot takes place in the present day. The new generations of the three families involved in Indiscretion and Masquerade come together, and the story is mainly about healing family rifts. Greece and Egypt, two captivating countries with a huge historical and culture legacy, are also on the map for settings in forthcoming novels. Hannah - thanks so much for sharing some of the secrets of your writing routine. Jaffa and I look forward to reading more of your lovely books in the future. Summer, 1976. Luz de Rueda returns to her beloved Spain and takes a job as the biographer of a famous artist. On her first day back in Cádiz, she encounters a bewitching, passionate young gypsy, Leandro, who immediately captures her heart, even though relationships with his kind are taboo. Haunted by this forbidden love, she meets her new employer, the sophisticated Andrés de Calderón. Reserved yet darkly compelling, he is totally different to Leandro but almost the gypsy’s double. Both men stir unfamiliar and exciting feelings in Luz, although mystery and danger surround them in ways she has still to discover. 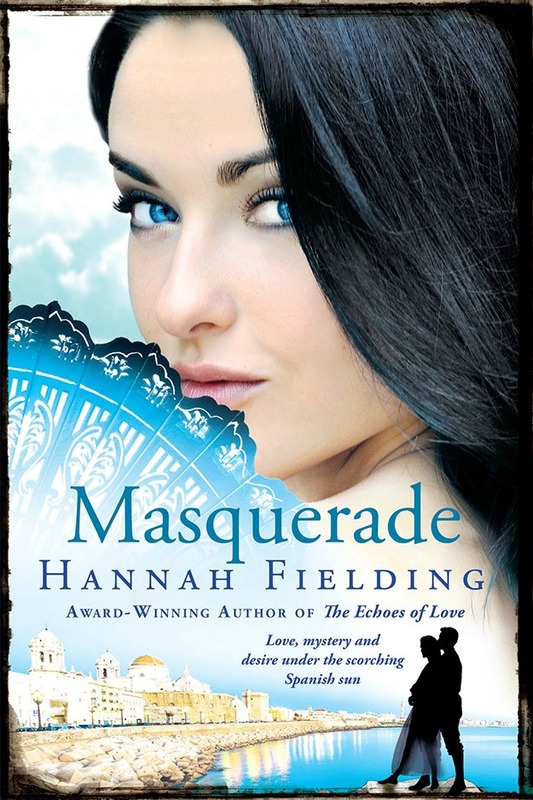 Hannah is very kindly giving away one copy of her novel Masquerade to a lucky winner of this giveaway. hmm one scary thing everyday? I think, especially now, it's going out and leaving princess in the house alone for fear of her crossing the rainbow bridge alone. Walk.....with MS can be scary! Daring to write and be creative scares me because I would love to be able to do that.